By judging the store’s name, you probably would think that they are selling Chinese noodle. 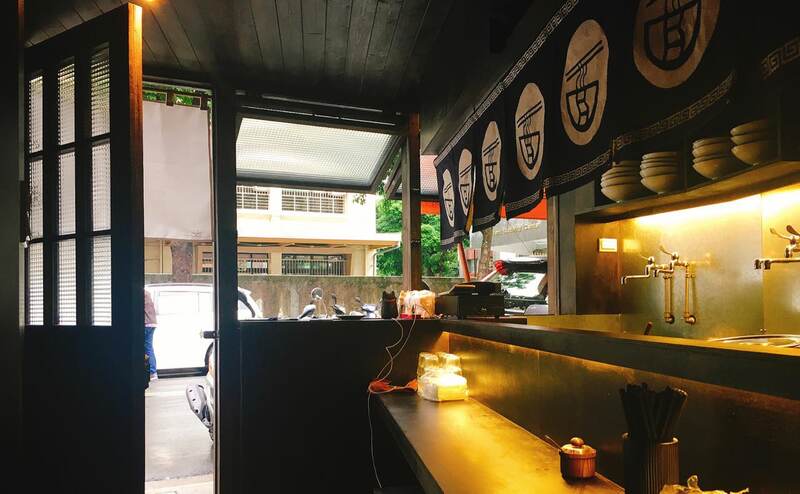 This newly-opened store, “Chongxi Ramen Restaurant” , which is located near Xiaonanmen MRT station is actually a Ramen restaurant. 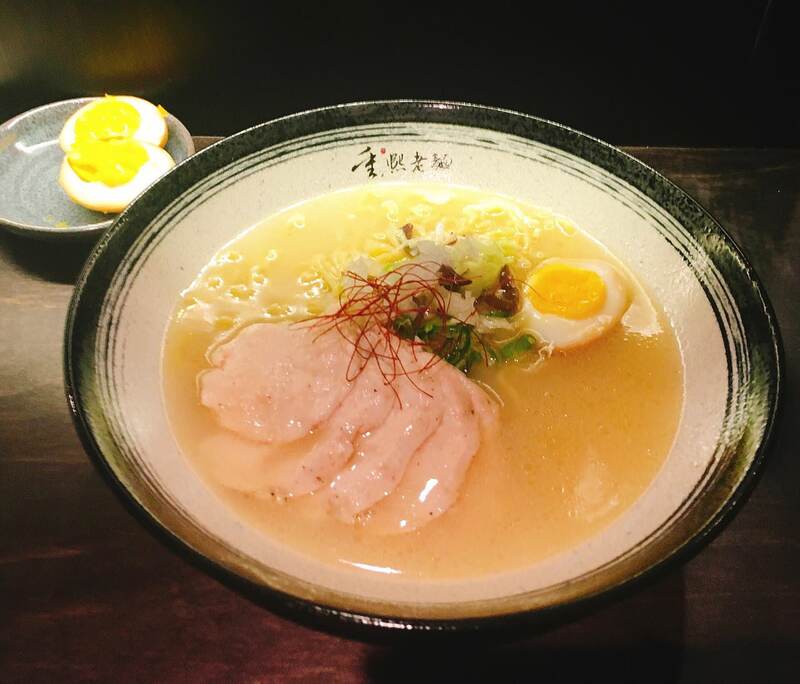 Unlike ramen restaurants, It only sells chicken broth related dish – from ramen , dry noodle to rice. 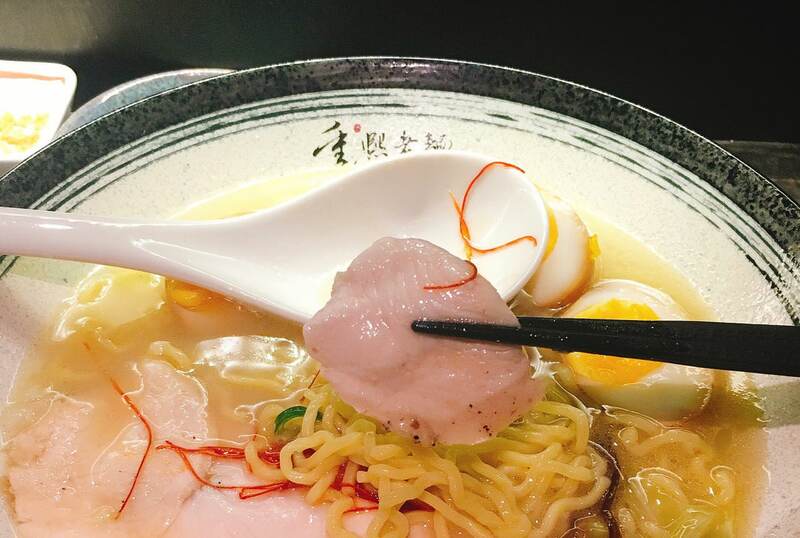 But, most people visit here for their Chicken Broth Ramen. 室內外座位加起來總共大約十個座位, 雖無冷氣, 室內角落有大型電風扇. 眼尖看到開放式廚房裡放著一個古色古香的燉盅, 目測應該是可以放下一隻全雞, 彷彿想像到店家辛苦熬煮7~8小時, 直到水分和油脂乳化成白濁湯頭. This restaurant is tiny with only 10 seat (indoor + outdoor) without A/C but has a huge fan at the corner of restaurant. When sitting down, you would notice the large traditional stew pot. This kind of stew pot mostly exist in 5 star hotels or very traditional Chinese restaurant. 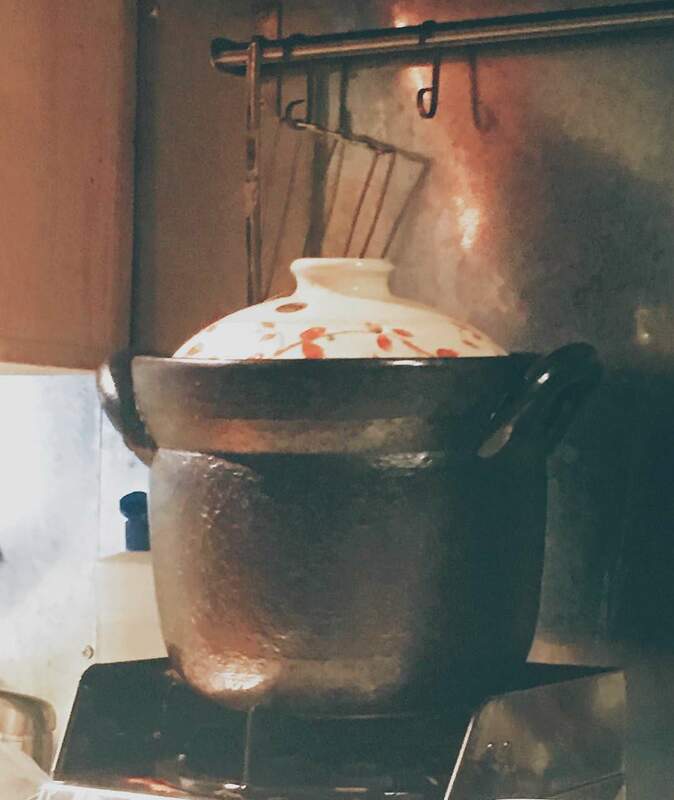 But this restaurant uses this stew pot to cook the chicken broth for 7 ~8 hours per day. 店家使用的食材為”白露花老母雞“ , 白露花是品種名, 老母雞跟年輕母雞最大差別是老母雞肉質較硬, 久煮不易化開. 白露花老母雞則是主廚們烹煮佛跳牆,鮑魚,魚翅高湯最主要的原料之一. 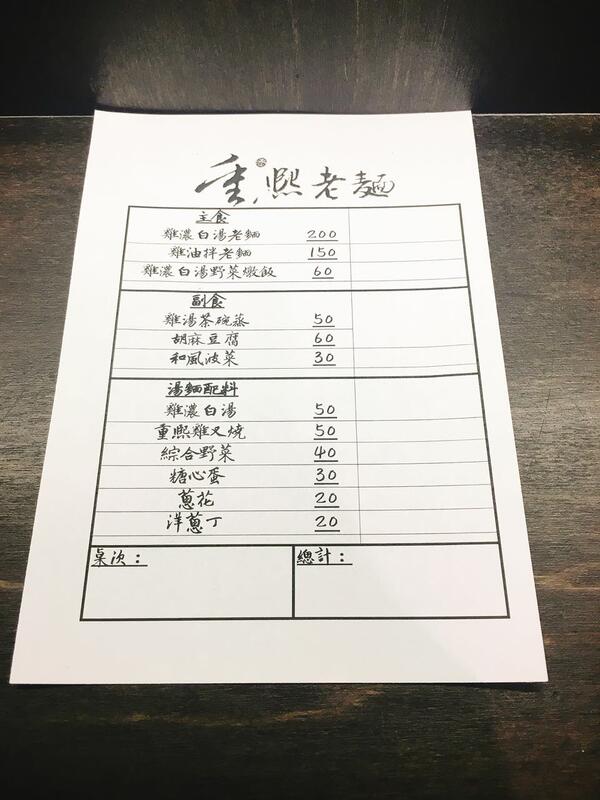 The restaurant select “Bai-Lu-Hwa Old Hen” as their main ingredient. “Bai-Lu-Hwa” is the species name. The different between old hen and young hen is that old hen’s meat tend to be harder/tougher. The 5-star hotel chefs use this kind of chicken because it can hold many hours of stew in order to thicken the soup base. 端上桌後, 發現拉麵湯頭濃度並非像麵屋真登淡麗, 也不是如鳥人拉麵般濃郁. 小酌一口, 口味類似雞二拉麵的限定款- 蝦醬雞白湯麵, 有達到雞白湯該有的鮮醇標準, 且不會過於濃厚包覆著味蕾. 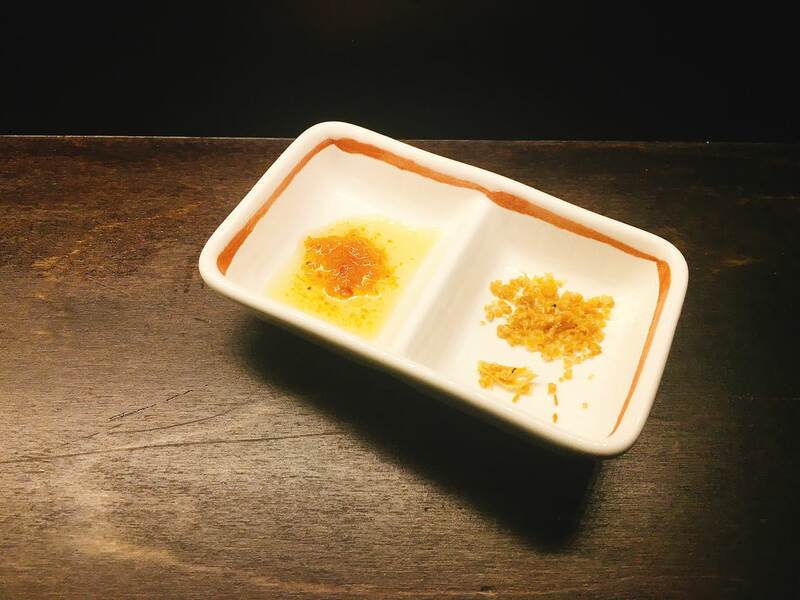 碗中擺放著5~6片軟嫩的老母雞肉叉燒薄片. 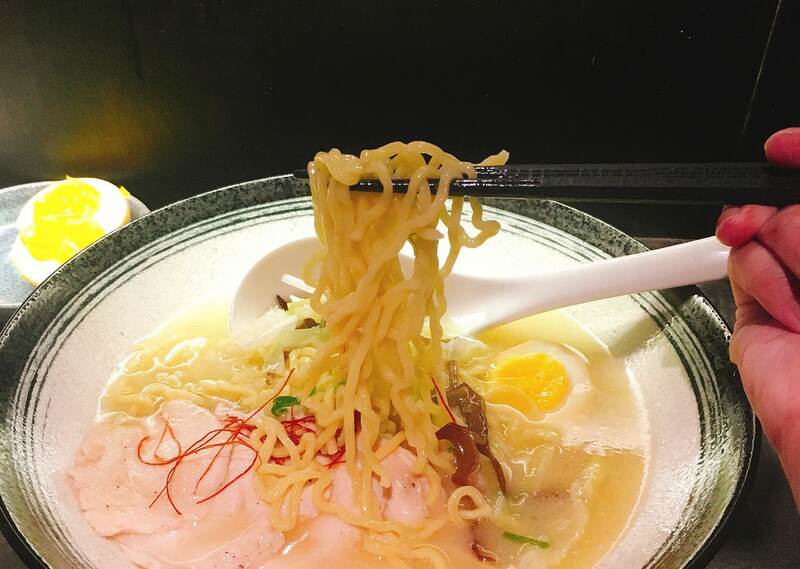 The reman broth is not as light as Menya Masato Ramen, but not thick enough as Totto Ramen. By the look of the soup base, it is similar with G2 Ramen’s afternoon limited edition. After taking the sip, its fresh and savory taste is above average, which won’t cover your tastebuds. There are 5 ~ 6 thin sliced hen meat that are tender and delicious. Considering old hen’s meat is supposed to be hard, the restaurant must spend lots of hours to stew in order to make the meat tender. 店員端上一旁配料且告知湯裡可加蝦醬(左)和油蔥(右)增加不同風味, 雖然兩者都會搶走湯頭的特色, 但是建議只加蝦醬, 因為帶有豬肉香味的油蔥很明顯會喧賓奪主. 麵條部分偏軟, 唯一美中不足的是蛋, 除了拉麵配置的半顆溏心蛋外, 我另外點了一份溏心蛋 ($30), 可惜的是已切半, 蛋黃有點偏乾. The staff also informs that adding the shrimp sauce (left) and the shallot (right) into the stoup would add more flavors into the broth. However, both sauces would dominate the broth. If you really want to try one, you should try the shrimp sauce. The shallots, which are full of meaty aroma, might domain the broth even more. The only flaw of the night would be the egg. I ordered extra egg. 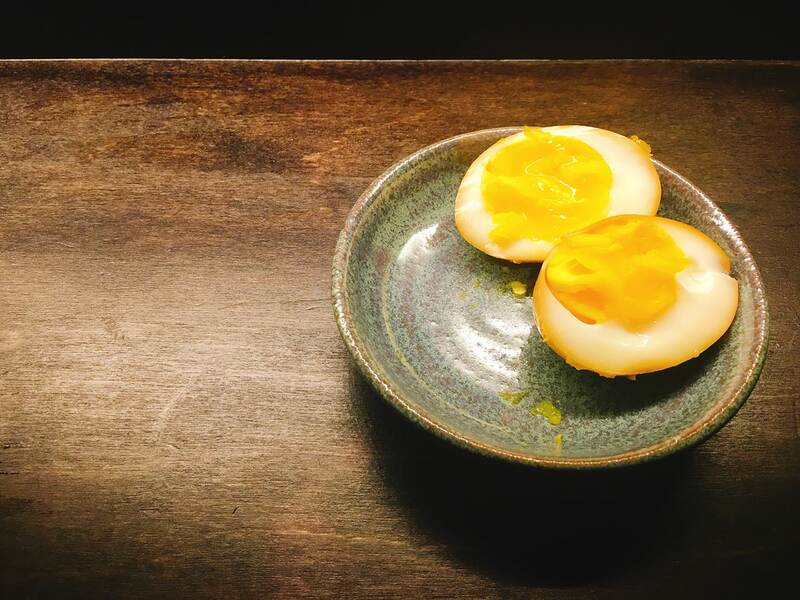 But it is already cut in half and the egg yolk seemed a bit dry.